In the registration form, there is a field for website url. 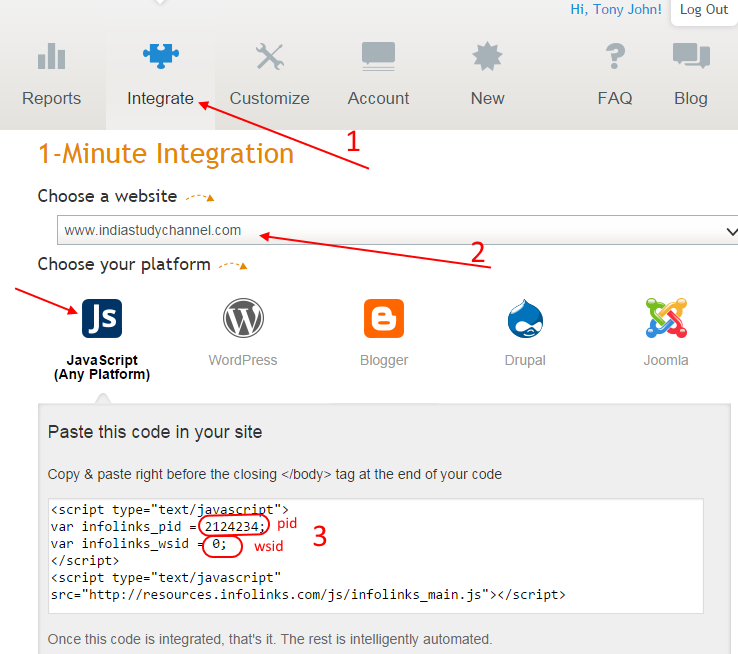 In that field, provide your special profile url (http://www.GlobalStudyChannel.com/infolinks-profile/[Your User Id].aspx) as your website url. If your Infolinks application is rejected, you may mail them and show them the information mentioned in your profile page - http://www.GlobalStudyChannel.com/infolinks-profile/[Your User Id].aspx and remind them that you are applying for Infolinks account as part of a revenue sharing agreement between this site and Infolinks. 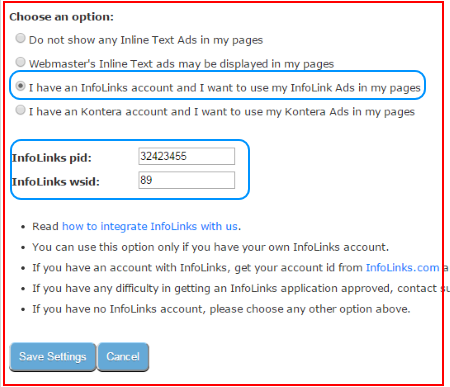 If you already have an Infolinks account, you just need to add your profile url (http://www.GlobalStudyChannel.com/infolinks-profile/[Your User Id].aspx) as a new website in the existing Infolinks account.